I'm building an automator workflow to rotate images. It seems that sips and other image rotation possibilities do not actually change the bits of the image, but just flip a switch for orientation, and I need to change the image bits. Anyway, I'm building the workflow using the "Rotate Images" action and it seems like it uses a ton of memory when you rotate multiple images (which is kind of the point of an automator action). Apparently, after it rotates an image, it retains the memory and only releases it after the entire action is complete. And so I end up running out of ram and also swap! Is there a solution to force it to release memory? Here is the some applescript code I wrote to rotate an image right 90. You may only rotate right. So if you want to rotate left 90 to enter you will have to rotate right 270. Demonstration of how dropping files on AppleScript icon works. Shows how to debug via on run path. Shows items added to folder. 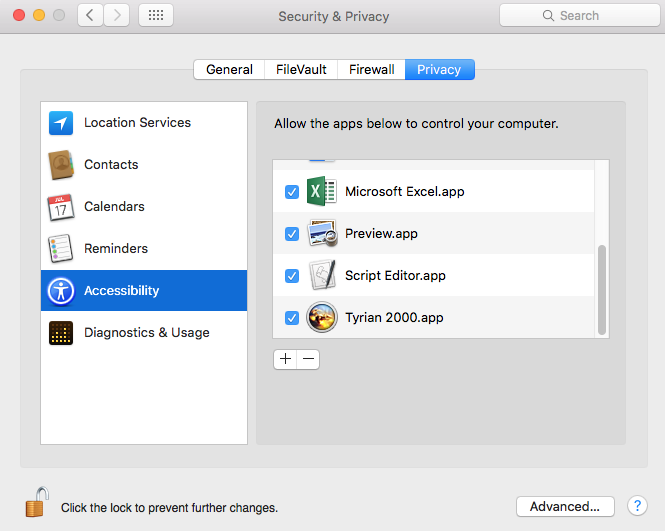 Save as an Application Bundle. Don't check anything. It is easier to diagnose problems with debug information. I suggest adding log statements to your script to see what is going on. Here is an example. For testing, run in the Script Editor. -- Gets invoked here when you run in AppleScript editor. -- here is a log statment. -- Be sure to select a file on your DESKTOP. -- Simulate dropped items list. insert a preview rotated image. insert a sips rotated image. You can change the delay values to fit your needs. Also add a shortcut under Preferences/Keyboard/Shortcut/Services. Remember to duplicate the service using key code 15 (Command+R) instead of key code 37 to do RotateRight. There is a new "Quick Action" in Mojave that Rotates Images (Left). Not the answer you're looking for? Browse other questions tagged automator memory image-processing . Why does Automator get stuck in a loop when processing a large number of files? 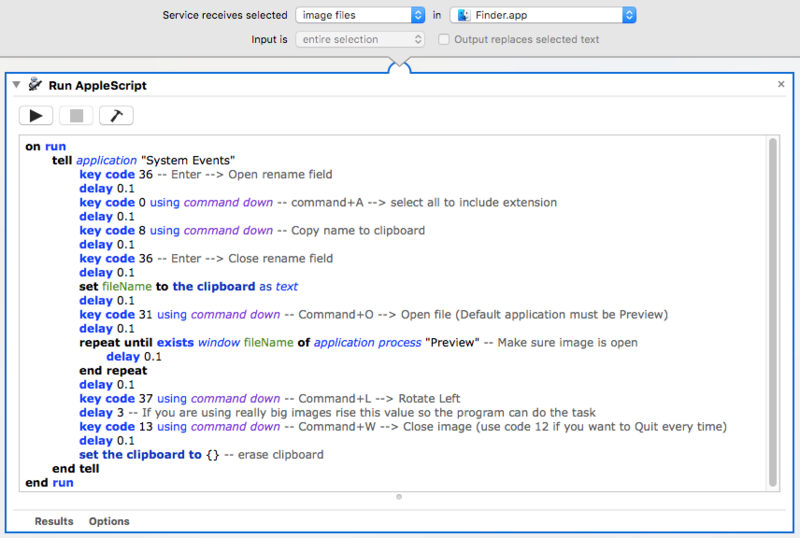 How do I get Automator to process images using ImageMagick in a command script?